Great news, the first collaboration between Glenn Tilbrook and his friends Nine Below Zero is now available at the Quixotic Shop. The project is called The Co-Operative and is an album of 11 tracks of new collaborative songs and covers. The album is released in the shops in October and will be available at all shows on Glenn’s acoustic tour in the UK, so for now the Quixotic Shop is the only place to find it. 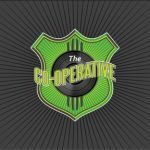 One Response to "The Co-operative – new CD with Glenn"